Alcohol content: : 12,5 % vol. – 13,50 % vol. 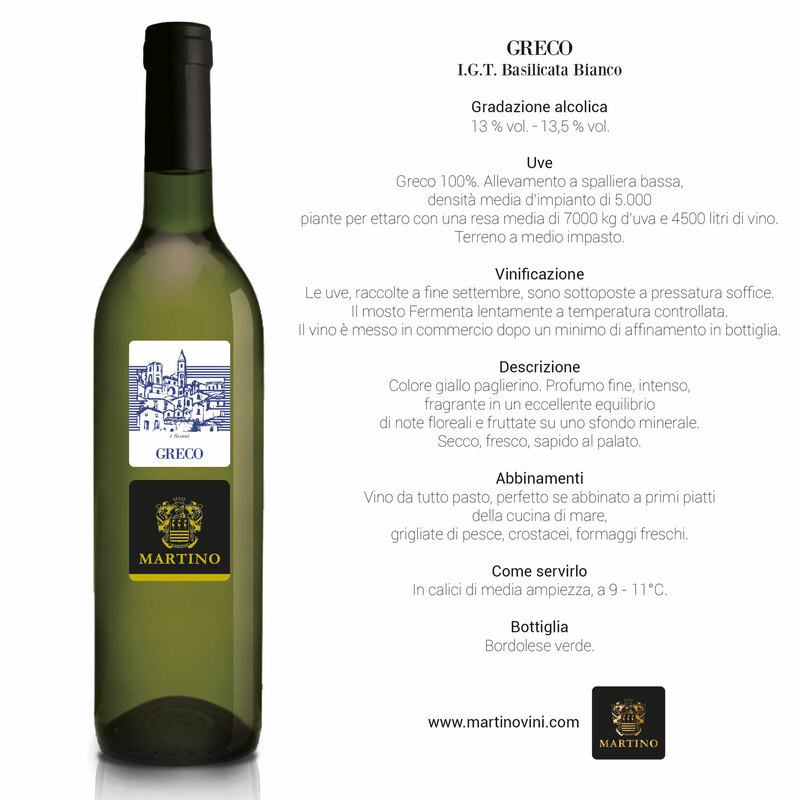 Grapes: : 100% Greco. Low espalier training system, average plant density 5000 vines per hectare with an average yield of 7000 kg of grapes and 4500 liters of wine. Medium texture soil. Winemaking: The grapes, harvested at the end of September are soft pressed. The free run juice ferments slowly at controlled temperature. The wine is put on the market after a short bottle ageing. Description: Straw yellow. Fine, intense, fragrant bouquet in an excellent balance of floral and fruity notes on a mineral background. Dry, fresh, savoury on the palate. Pairing: Food-flexible, perfect if paired with fish based main courses, grilled fish, shellfish, fresh cheese. How to serve it: In medium-width stem glasses, at 9 – 11°C.